You’ve reached your limit for this feature. With the advent and rise of digital transformation and its subsets – data science, big data, the IoT (Internet of Things), predictive analytics, and business intelligence – businesses and organizations have more ways than ever before to track and improve internal processes, customer service, and customer experience. As a recognized expert and thought leader in this field, I work with data-driven companies to generate business value so that they may meet and exceed goal after goal. I have been recognized for my work in the field of digital transformation by such publications and organizations as Onalytica, Dataconomy, and Klout. In addition to these recognitions, I am also an author for a number of leading big data websites, including The Guardian, The Datafloq, and Data Science Central, and I regularly speak at renowned events and conferences. Points based upon Thinkers360 patent-pending algorithm. The last decade has seen unprecedented advancements in artificial intelligence. We have moved towards a data-centric approach, and data is the center of everything digital. The data collected through different sources is refined, analyzed, and orchestrated with data platforms to generate intelligent insights that can facilitate the growth of any organization. The spread of these data platforms, coupled with the advancements in artificial intelligence, enable what has come to be known as the intelligent era. Enterprises are now making smart decisions – backed by actionable insights that also give them the guidance they need for the future. As an SAP partner, I was given the opportunity to explore the SAP Data Hub and get insights into the data management challenges organizations face in the new Intelligent Era. Enterprises will be able to generate data from any business, any person, and any device. This will be augmented by the Internet of Things or IoT and the broader 3rd party data economy. We can expect better applications that are focused on improving the customer experience among many other things. Enterprises will be able to have access to information essential to their products and services. The sales sphere will be smarter than it is now, with many personalized tools and techniques, marketing to every customer out there. Humans have surely done the tough part, and they need to be consistent to reap the fruits of AI. However, data management is a necessity that shouldn’t be compromised. The foundation of all intelligence in the future and the benefits we mentioned above lie in the provision of data management. Data is the center of the IT landscape. Data that is properly structured and is duly managed from its arrival to when it is under process within analytic tools or business processes would generate the best insights and actions. The insights you generate to fuel your enterprise’s intelligence and to take smart decisions will only be as good as the data that you have in your hands. Poor quality data and the lack of the data leads to poor quality insights and bad decision-making. Thus, data management is a crucial facet of an intelligent environment that must not be ignored. Since it plays an important pivotal role in dictating and building the ecosystem of change, data itself requires stringent checking and management throughout the whole analytics and business process. Having talked about the shiny side of the intelligent world, there are also some major implications that require due attention as well. The SAP State of Big Data Study, published a year ago, revealed important statistics related to the challenges faced by organizations going smart. According to the results, almost 74 percent of enterprises felt that their data landscape/ecosystem is too complex for them to understand, so much so that it is believed to limit their productivity and innovation in a way. 86 percent believed they weren’t getting much value out of the data and 84 percent of all CEOs were extremely concerned about the quality of the data and how the insights generated through it could negatively impact decision-making in the future. This skepticism is further fueled by the fact that over $9.7 million are lost every year per average organization due to poor quality data and the resulting bad decisions made based on it. Siloed data is perhaps the biggest challenge that enterprises looking to go smart are facing. The presence of large sets of secluded data on public or private clouds such as Hadoop, Microsoft, Google, or Amazon Web Services makes it challenging for organizations to gather the data required for decision making. Data is no longer only the domain of Enterprise systems but it’s being created by devices, 3rd parties, and derived from a myriad of sources and therefore the processing of data also needs to reflect the new data landscape data stores connecting, refining, and utilizing wherever it resides. Most organizations want to run real-time analytics that gives them results and insights from their data on the go. But with these siloed platforms the data is scattered, inconsistent, and there is little potential for generating enterprise-wide insights in real-time. This concerns organizations and entrepreneurs as they try to search for potential options to help them solve this lack of available company-wide insights. Due to the Internet of Things with literally billions of connected sensors and devices, mobile data, social data like Facebook, Snapchat and others, new data types arise almost daily. The amount of data being generated and the need for digestion of this data volume is unheard of. Data volume, data generation velocity and data complexity increase to a level that has never been there before. It is not only a challenge of completely new data types in structured and unstructured data sources that get generated, but it is also a challenge of volume. Data migration, or the integration of all data to a single data store is difficult to perform. The substantial increase in IoT data sources, volume and velocity makes it hard to migrate data to a single source or integrate each source with all analytics and applications. It is often the case that analysis and decisions have to be made on data at the point of capture, at the edge, or on data in transit. Data migration and integrations also require significant expertise in the field of data management, which is scarce. The combination of these factors makes it complex and difficult to build an intelligent enterprise that uses data to the fullest potential. It is because of the complications involved here that 84 percent of all CEOs believe that their data landscape is particularly complex and requires simplification. It is simply impossible to handle the amount and complexity without software support: be it data quality management all the way up to machine learning and artificial intelligence. To understand the true meaning of data, help is required. We have seen companies are challenged by having diverse and separated data landscapes, they are challenged with growing and more complex new data types arising, they have a hard time to ensure data quality, to understand the full meaning of data, and now comes along another phenomenon to handle. Additionally, it is very challenging to ensure consistency of data quality and transformation across many different data silos as data cleansing and enrichment may be performed differently in each implementation without central governance and alignment. Unify Data: An organization should be able to orchestrate and unify all their distributed valuable data from public and private clouds with an end-to-end data management framework. This applies to both the data itself but also to the metadata that describes the data consistently which is be easy to find, understand, and utilize. Simplify Landscape: Perhaps the most important functionality of an end-to-end data management system should be that it simplifies the landscape and makes it easier for enterprises to view and understand their data and work on it in one central place. Business users and IT users need to be able to discover the data and metadata and understand the lineage or how that data was sourced and transformed. Hindrances should be reduced to a minimum. Handle Complexity: With the landscape already simplified, an end-to-end data management system should also handle the complexity by combining data from disparate data sources and make near real-time analyses easier. This enables faster development of new Analytics and decision processes through re-use, reduced redundancy, and making data before a service to users and processes. This simplification should also support the agility to adjust to new data, analytics, and adoption of new technologies to deliver the next generation of data driven innovations to the business. The ability to re-use existing data integration, data processing, and coding is a must – no customer wants to re-implement productive process and data flows but rather focus to driving new value based on net new innovations. Centralize Governance: Data governance is a major concern for most managers, especially in the era of GDPR, which is why an end-to-end data management setup should centralize the governance and bring data access control over to the people that matter. Insight into of the metadata, profiles of data in the connected data stores, the data processes executed, and the end-to-end lineage on the interconnectivity is critical. This driving understanding what data is available, defined, used, consumed, and if business and regulatory policies are being complied with. Data Management: Finally, and perhaps most importantly, an end-to-end solution should help you in managing your data better. It should provide a single solution that gives you full visibility into your data without leaving its original home. Data should flow through a data pipeline where it is collected, orchestrated and cleansed so you do not need to worry about the poor quality of insights and decision-making. This is not limited to the data integration flow but also to the process operations that are executed on data as it flows across the landscape. This A data management framework should manage your data for all future needs and even trigger actions based on predefined parameters. The latest SAP Data Hub release provides customers with a lean deployment and easy installation option offering a complete containerized setup for decentralized data processing. Enhanced Metadata Management and Cataloging functionality that were introduced with the latest Data Hub release allow customers to quickly and easily get an overview of their data sources, under the linage of data and operations, define and manage these in one central place, which is critical when it comes to compliance topics like GDPR. Additionally, SAP Data Hub is previewing new capabilities in integrate ABAP based systems into pipelines, integrate cloud data integration tools, and to integrate SAP Data Hub into BPM designed business processes with the wider data landscape. SAP’s Hana business data platform carries all the benefits of an end-to-end data management platform mentioned above and builds together with SAP Data Hub the foundation for the Intelligent Enterprise. The HANA data platform together with the functionality enabled through SAP Data Hub helped Kaeser Compressors increase productivity and customer service by taking charge of the complexities involved in the data management process and delivering the insights generated through their data. The biggest benefit of SAP Data Hub that customers have reported is its ability to bring their structured and unstructured data together without the high costs of moving or replicating the data. SAP’s Data Hub creates a foundation for all intelligent enterprises and augments the efforts of thought leaders in the creation of a smarter world. 5G technology is knocking on our doors and is said to be around the corner. Mobile service providers have upped their game recently and are holding talks, events and discussions to formulate a plan for the launch of this futuristic network. Not only is 5G technology on the agenda at conferences, but many telecom providers have started testing it out inside labs. With the advent of 5G approaching, serious questions are being asked of the potential this network has to deliver on what it has been promising. Higher security and network slicing: This include the presence of different networks for diverse applications and challenges the perception of one network for everything. Higher bandwidth. It is expected that 5G will give 1,000 times more bandwidth and 50 times greater latency than the previous 4G technology. These advances are intuitive, but the question remains the same; is 5G going to be just another G, or is it a whole new disruption? Below, we look at some of the possibilities that come along with this amazing technology. As a proud partner of Ericsson, I had the opportunity to get a better grasp on this topic. I spoke with Jitendra Manocha, Product Line Unified Data Management at Ericsson. Jitendra spoke to us about the potential of 5G and how it could disrupt in the Telco market. He also introduced us to some of their own research on this subject. Back in 2007 we saw a major disruption in the telecom industry during the launch and subsequent success of smartphones. Smartphones went on to become popular and effective because of their experience and usability. However, Smartphone weren’t the end. Another disruption followed soon after when Steve Jobs launched the App Store for Apple. Through this platform, Jobs invited 3rd party developers to program and market new apps under the umbrella of their smartphone. Interestingly Jobs wasn’t always in favor of the App Store solution. Jobs quashed this idea and said that Apple would be better off creating web applications for their customers. As is mentioned in the biography of his life, Steve Jobs was against the idea of the App Store because he thought their team did not have the bandwidth and the capabilities required to handle the complexities that would come as part of such a move. However, he changed his mind soon after and the App Store was born in 2008 – now today we see an exponential growth in applications and new use cases – it was the external innovation on the platform that fueled the application innovation. This concept has further expanded into a global entity that influenced the growth of other similar ideas such as Google’s Play Store. The 5G disruption is going to be similar to that of the App Store. It’s expected that 5G will open up the network operating system for mobile networks through the core network. In the process, the network will expose the capabilities of the network to external parties for them to program their applications using the connectivity and edge of the mobile network. The 5G world will not just be limited to phones and will now have everything connected under one umbrella (Industrial applications, business applications etc). It is similar to the App Store, but in 4 dimensions. Being driven by use cases, 5G will open a new revenue stream that can disrupt the market and lead to bigger and better innovations. While low latency, higher bandwidth, higher security and network slicing make 5G a major disruption, we will provide insights in terms of factors that directly affect you, and which you’ll be able to better understand. 5G will help innovate new use cases and more importantly as of yet unknown use cases through new applications supporting multiple industries for eg Industry 4.0 and Remote Healthcare. This technology offers new potential to increase the programmability required to create an experience similar to that of the App Store. This increase in programmability would be done using APIs and SDK or software development kits. APIs play an imperative role here as they provide the set of rich capabilities required to build blocks for third party AFs (application functions). These building blocks will help third party AFs to innovate service offerings within 5G. Operators can then allow this to enable additional revenue streams for better exposure to the opportunities and capabilities hosted within the setup. Programmability started with 4G and is now radically improved with 5G, as the network is opening boundaries for Telco providers and operators. This will also lead to NBIoT 4G, which can be found in water metering solutions including smart grids and smart metering. 5G also opens new avenues such as an immersive video experience, Virtual Reality (VR) glasses and the augmentation of VR to create an amazing sport viewing experience. Fans would be able to watch games at home with the feeling of being in the front row.. All of this would be done using programmability, network slicing and edge technology. 5G technologies will assist in the realization of programmability as it will simplify the process and make it more doable. However, Communication Service Providers will need to think about additional layers of security as programmability becomes a reality. Telcos have tremendous potential to address new use cases in the industry. This is driven by the huge improvements of connectivity services (higher bandwidth, lower latency) and by the capability to easily control them, tailor them around different needs and most importantly securely expose them. The Artificial Intelligence introduces a further element to the equation, making possible network closed loops based on processing insights and decision making; leveraging on that it will be possible to drastically automate network operations in the industry. One of the most significant examples is the "Edge computing". It is an important feature in core network to strongly reduce the latency on data communication. This capability can be exposed through open API and activated based on the result of analytics, offering the opportunity to address new use cases in the industry not possible in the past. One example is the automatic recognition of a special type of service requiring ultra-low latency connectivity (e.g. Augmented Reality) and the consequent activation of the edge computing to deliver the right Quality of Experience to the end users who asked to use the special service. While there are many more examples on 5G potential and lot is being developed in standards and Operators could start today to capture the Nb-IoT market building on 4G APIs (Provided by SCEF) which provides the key to capture the IoT market. Today, Telcos are making money through enhanced connectivity. The disruption from 5G will see the emergence of a new roles for the operators similar to that of App Store. This new revenue model will see greater revenue streams that will ultimately increase profits that Telco operators can extract. This change in models will also require the building of a new ecosystem that involves all processes from B2C, B2B and B2X. With these 5G cases substantially growing and expected to be in place by the beginning of 2020, telecom services must start serious work on revenue models. There needs to be a level playing field where Telcos can extract the most out of the opportunities present. To learn more you can download the Ericsson “Programmability of 5G Core: Underestimated disruption Opportunity” report by clicking here. The question in the AI market is no longer about whether AI can affect the workplace and the human workforce. Instead, the raging curiosity in the market revolves around a series of interlinked questions: When will the AI Wave happen? Will robots replace the whole human workforce? What would the end result look like? The answers to these questions? Well, AI is happening right now in front of our eyes. The solutions this technology provides vary from self-driven complex processes to the insights and recommendations you get while scrolling through social media. With the impact already visible, one can definitely say that AI will be part of the workforce, but not replace it. The common fear that robots will soon take over and steal countless jobs is an example of the concept of singularity. While we don’t blame humans for thinking this way, because they have been forced to believe so much in these non-existing changes through the media, the merger of AI and the workplace will be based more on the concept of multiplicity then singularity. Workplaces with multiplicity incorporate a diverse group of humans and robots together to increase efficiency and achieve results that neither of these diverse groups could have achieved working alone. Multiplicity is therefore the single most important concept that perfectly explains the entry of Artificial Intelligence to the market. The growing interest in Multiplicity by business owners is justified, as it enables humans and machines to innovate and collaborate together to solve their problems. Tata Communications has worked on the concept of Multiplicity, and recently revealed a study titled ‘AI will diversify human thinking and not replace it.’ As a proud partner of Tata Communications, I have been granted access to this information and have summarised key points from the study below. The recent study by Tata Communications is based on specific and thoughtful input from over 120 business leaders. Business leaders surveyed as part of this report are projecting the potential impact of AI in the workplace and are currently using it for numerous purposes. In a transition from the dystopian views currently held by a few loud voices, this report breaks the pattern and introduces a new set of opportunities relating to the merger of technology and humans in the workplace. In short, AI can diversify the way humans think, rather than replace it. Almost 90 percent of the business leaders surveyed as part of the study believed that cognitive diversity in the workplace is extremely important for running a successful organization. Managers in the contemporary workplace want employees to think differently and experiment with their typified ways of problem solving. While expecting such cognitive diversity was a bit difficult in the past, the role AI can play in the workforce means that organizations can expect greater rewards in the future. AI mechanisms will help augment human efforts in the workplace and stimulate cognitive diversification that benefits the organization. The study also revealed that 75 percent of respondents expected AI to create new roles for employees. This is a clear indication that AI is not going to replace human jobs, but will instead increase efficiency and shift humans’ roles and even create new positions for employees that provide meaningful work better suited to humans’ strengths. Interestingly, 93 percent of respondents believed that AI will enhance the decision-making skills of the organization. There is no doubt in the fact that AI hosts immense potential for delivering insights in the heat of the moment when they matter most. With decision makers presented with the right insights at the right time, they will be able to make more informed and forward thinking decisions. Having discussed the findings from the research by Tata Communication and the massive potential for humans and AI to co-exist and achieve increased efficiency, we will now shed light on the three ways through which AI will augment the skills of the human workforce. With evidence to suggest that the human workforce is not going anywhere any time soon, below we will turn our attention to the important issue of how AI will enhance the human workforce. AI’s increasing presence in the workplace will alter the skills that businesses expect from their employees. The way people think will be more important than ever, which is why the recruitment process will likely change for the better. This people-CENTRIC view would champion creativity, curiosity, and experimentation as traits that humans boast about. Rather than being at the business end of things, humans will now devote more time to what humans are good at; adding value, thinking of new business ideas, creative problem solving and building meaningful relationships with stakeholders and clients. Rather than thinking about substituting Artificial Intelligence into different business processes, organizations would benefit more from thinking about how both humans and machines can work together to create a partnership greater than the sum of its parts. The beginning of this partnership can signal great things for organizations and may even help them develop their business offerings to deliver significant gains in performance. Collaboration between humans is also likely to increase with the use of AI, as the technology has the capacity limit the presence of silos and other barriers to cross-organizational collaboration, ultimately making the organization a better, well-oiled machine for the future. Moreover, AI can also compensate for human error and further increase collaboration in the process. Perhaps the biggest benefit of AI comes with its ability to enhance the intellectual diversity and collective intelligence within a workplace. Both humans and machines will complement each other’s strengths to come up with diverse ideas that show the strength of AI’s implementation. While humans can work towards bringing up ideas, creative solutions, and action plans, AI systems can work as the devil’s advocate and challenge inherent assumptions. These systems will negate creative flaws such as vampire creativity and groupthink among many others. Vinod Kumar, CEO and Managing Director at Tata Communication, believes that, “AI is now being viewed as a new category of intelligence that can complement existing categories of emotional, social, spatial, and creative intelligence. What is transformational about Multiplicity is that it can enhance cognitive diversity, combining categories of intelligence in new ways to benefit all workers and businesses”. The structure of work will change, and there will be a need for greater flexibility and agility. Organizations will want employees who are prepared to give the agility and flexibility that AI systems need to be leveraged to their fullest potential. Humans will toned to increase their skill set in a bid to adapt with changing organization settings, structures and tools. Existing jobs will be replaced, and humans will lean towards analytics more than anything else. One thing that AI promises to do is set the tone for a period of lifelong learning. AI is not a fad you can follow for a month or two and then abandon. With the rapid pace of technological evolution, organizations today identify it as a lifestyle shift that requires constant learning. You can view the full report by Tata Communication by downloading it from here. Artificial Intelligence and the technology behind it are growing at a furious pace. Marketers have realized its vast potential and are striving to extract the technology’s opportunities in full. There are numerous advancements being made in this regard, and many organizations have taken center stage of the AI world with in depth data analysis and data discovery solutions. I'm excited to partner with Io-Tahoe. Io-Tahoe is one of the few organizations that have taken on the complications of AI and are endeavoring to achieve something big from this enormous feat. They provide smart data discovery and AI-driven catalog solutions to their clients and help them get actionable insights from their clients’ data.. The potential of Artificial Intelligence is obvious. Adobe has estimated that they can expect 31 percent of all organizations will start using AI over the coming 12 months. This statistic is backed up by the fact that there are more startups than ever focusing their operations on AI and the services that it provides to the masses. Roughly 61 percent of organizations that follow innovative strategies have turned to AI for taking extracts from the data that they previously might have missed. Innovation is an earmark of Artificial Intelligence, and startup ideas that believe in this ideology can seldom live without the oxygen that is AI. Not only are marketers confident about AI, but consumers are also starting to grasp its vast potential. About 38 percent of consumers are beginning to believe that AI will improve customer service. With this growing awareness and popularity, we can expect these numbers to increase further down the line. Organizations are finding it hard to find their footing under the four V’s of big data; Volume, Variety, Veracity and Velocity. Over 38 percent of the analytics and data decision makers from the market reported that their unstructured, semi structured and structured data pools made an increase of 1,000 TB in the year 2017. The growth of data is increasing rapidly, as are the initiatives organizations are taking to extract value from it. Herein lie numerous challenges that organizations must overcome to extract full value from AI. Your inference tools would only be as good as the data you have with you. If the data that you’re feeding your machines isn’t structured and flawless, the inference gained from it would barely make the cut for your organization. Thus, the first step of the process is to have quality data. Without the presence of trust in the quality of the data, they wouldn’t proceed with their AI initiative. This demonstrates the importance of data quality in AI, and how it changes the perspective of stakeholders involved. The pareto concept applies here, as data scientists are bound to spend almost 80 percent of their time making data ready for analysis and then the remaining 20 percent for performing analysis on the prepared data. The creation of these data sets for the ultimate analysis is key to the overall success of the program, which is why scientists have to allot their time. The 80/20 phenomenon has been noted by many analysts online, who believe that 80 percent of a data scientist’s valuable time is spent finding, reorganizing and cleaning up huge amounts of data. Once you have quality data you need to understand the importance of recruiting and retaining the best talent in the industry. Since AI is relatively new, the labor market hasn’t matured yet. Thus, you have to be patient in your search for the right talent. Two thirds of the current AI decision makers present within the market struggle with acquiring the right AI talent for their firm. With hiring done, 83 percent of these companies struggle with retaining their prized employees. The talent shortage obviously goes beyond all technical flaws, as firms need a wide range of expertise to handle AI systems. What is understood here is that traditional recruitment practices are barely implementable, and that organizations need to look for other options. With the increasing rate of data regulations on the horizon, any organization can easily end up on the wrong side of the law if proper measures are not taken. The GDPR or the General Data Protection Regulation by the European Union is one of the most advanced and up-to-date privacy policies for data at the state level. Complying with such policies is mandatory, as non-compliance can leave you in a dire situation. There is a trust deficit and the market for AI and analytics isn’t showing any signs of decreasing over time. While the market has increased and progressed by leaps and bounds, this trust deficit still stands as it is and isn’t showing any signs of decreasing. Organizations that know what to expect from their AI campaign fare better than those that have no idea about this technology and are just getting involved because their competition has. An AI vision can also act as a list of objectives for the future, so you can tally your end goals with what you planned out before. The end goal or the mega vision behind AI is to improve customer experience and add value to your offerings. To do this better, you can make customer journey centric teams that follow customers throughout their journey and improve their experience along the way. Your task goes beyond just making a team, as you will also have to monitor their progress moving forward. While three fourths of all businesses want to be data driven, only around 29 percent can agree that they are good at connecting their analytics and data to actively generate insights. If the data you have isn’t ready for you to get actionable insights, unite your organization around that analysis and make business decisions based on that. Data accessibility and culture are necessary for your organization because accessible data enables you to focus on business decisions, move on quickly and build an informed culture where data helps you make better decisions and take better actions. End-to-end AI lifecycle management relates to the management of data from its extraction to when it is presented in the form of actionable insight. The process entails different stages like the acquisition, storage, dissemination, learning and implementation of the data. By implementing end-to-end management, you can ensure that your data is always in safe hands. AI is the future for generating actionable insights for your organization. With the correct tools you can get your desired results and overcome the initial complications. We live in the world of AI currently, and there is plenty of talk about what the future holds. With doubts over the future everywhere, one can predict that AI is soon going to be an imperative part of our lives. Considering the likely future impact of AI, there is a need to ensure that the right AI talent comes up and gets to the top to lead this wave of change. According to several key leaders from Huawei, this can only be achieved by changing certain approaches. As a Huawei partner and a member of Huawei’s Key Opinion Leader Program, I joined three other experts conducting several keynotes at Huawei Connect in Shanghai all related to the question of how to develop talent in the AI era; Dr. Hao Lu, who is the Chief Innovation Officer at Yitu, Huang Weiwei, who is the Senior Management Consultant for Huawei, and Qian Wang, who is the Co-Founder of Mai Mai. With the nascent stage of the data revolution past us, organisations are entering a new level of proficiency in handling data expertly. Gone are the days when organisations could handle data and extract insights out of it, without the presence of an analytics platform. The importance of enterprise analytics platforms has grown over time, to such an extent that they are considered imperative for storing and analysing data today. As a member of the SAS Collaborator program, I had the luxury of receiving insights from an extended SAS survey assessing the likelihood of organisations going for analytics platforms and the motivating factors behind such a strategy. The research consisted of two parts, with the first one including interviews from over 132 government and business organisations. Breakneck speed, unprecedented development and unhindered feasibility are just some of the phrases attached to the spread of Artificial Intelligence across various industries. AI today is at an important junction with huge potential for market growth. Currently valued at around $3 trillion, the market is expected to grow some 250 percent over the next five years to $8 trillion by 2023. If you’ve been studying artificial intelligence and its growth, you’ll know that the industry is well past its nascent stage now. There is significant maturity in its growth, and companies from diverse backgrounds are realizing the impact of incorporating data and AI into their ecosystems. What percentages of companies are working on AI? How can AI transform industrial IoT for the better? Will it prove to be a job killer for us humans? The survey answers these and many other questions that shroud the mind of everyone who is currently a doubter. AI has promised exceptional value addition to organizations that have incorporated it into the activities of their value chain. Not only has it enabled organizations to increase the efficiency of their operations, but it has also led to the creation of a better customer experience. This progress has been enabled, among others, by the exceptional processing power and capabilities of systems that run AI, both at the ‘edge’, i.e. close to the industrial equipment, and in corporate data centers or clouds. In combination with years of experience working with analytics tools, and an increasing availability of AI frameworks, consulting and professional services, this has enabled organizations to use AI as a tool to add new features to their products and services, and center them on customer needs. Why is AI an Opportunity Now? AI is deemed by many organizations as an opportunity to achieve certain aims and goals. Based on results from within the survey, we had a look at what some executives wanted to achieve through the use of AI in their business. Interestingly, 57% of the respondents said that they wanted to increase their operational, supply chain, and maintenance efficiency through the use of AI. In addition, 45% wanted to improve customer experience and 41% were looking forward to enhancing the practicability of their offerings. Industrial companies also wanted to use AI to increase employee productivity, and to create new business models, products, and services. This offers a hint that the end goal these organizations are seeking from using AI is rapidly changing. As time goes by, organizations are beginning to realize that AI has multi-faceted benefits, and should be used accordingly. From the results of HPE’s survey, we learned that over 50% of companies said they are engaged with AI, with 11 percent having already implemented the technology in core functions or activities, 14 percent planning to do so within the next twelve months, and 36 percent evaluating the implementation. However, 39% of companies still had no plans to implement AI. Additionally, respondents were asked about the obstacles to implementing AI. Nearly half of respondents consider the lack of data quantity and quality as a hindrance in the implementation of AI. One example that springs to mind is a client HPE worked with, from the tobacco industry. They had five separate machines operating within the same area. However, one of them would fail every once in a while. It was extremely perplexing and confusing for the client, as they now had a machine that would fail numerous times, whereas all others in the same place operated well. The reason for the continuous failures in the machine, after endless research, was found to be present in the humidity levels in the factory. This caused issues with the metal used in that specific machine. Now, this was an issue that an organization would never be able to find out about. They couldn’t correlate humidity during the day with the type of metal. Fast-forwarding to now, these are the types of issues you can handle with the proper use of AI. Moving onwards, 42% of all respondents believed that lack of AI skills and knowledge was a hindrance in the implementation of AI in their organization, while 34% also believed that lack of data governance and enterprise data architecture was an obstacle providing high quality data for AI models and stopping them from widespread implementation. When asked about the departments they would like to implement AI solutions in, most executives pointed towards obvious answers, but in a rather interesting chronology: 38% mentioned they would use AI in research and development if they had the opportunity. Maintenance and operations departments were tied at 34% and 32%; services followed with 29% of people saying they would implement AI solutions in this department. The interest in the use of AI in research and development has led to an interesting use case for AI. As new product development is one of the end goals that organizations want out of AI, they believe that research and development should be the one department benefitting the most from it. Data in research and development has significantly increased over time. The research and development team provides proof of concepts to test new AI technologies before they are moved into full production. While R&D received the most votes in the survey, respondents are deploying AI in broad range of departments and working together with partners in the ecosystem. An ecosystem stitches the model together and makes it work. What to Expect from the Future: Is It a Job Killer? With AI expected to become a bigger and better part of the organizational ecosystem in the future, HPE’s survey also asked respondents which scenarios they were expecting from the technology by 2030. Almost 55% of respondents voted in favor of predictive manufacturing, which includes superior predictions of demand and other metrics. Moreover, 45% voted for self-repairing and self-configuring machines, and 44% for mass customization. This is not only about making maintenance easy by repairing and configuring their mechanism themselves, but it’s a foundation for implementing key visions of Industry 4.0, for example order-driven production, and others. When asked about AI phasing out human input by 2030, two-thirds of respondents mentioned that AI will not be a job killer. AI will enable us to work better, more efficient and do new things we have never been able to do. It also holds the potential for changing and disrupting business processes and models for the better. While results from the survey are positive, how it actually pans out is yet to be seen. The data revolution is gaining pace at breakneck speed, and we are finally towards the latter end of its implementation. Many inroads have been made by important stakeholders, and numerous organizations are currently trying to incorporate a data culture within their workplace. Future predictions suggest that every company will eventually be part of the data brigade and will benefit from the use of data analysis tools. The advent of data and analytics has opened the doors to smarter, more progressive decisions. Basic business decisions related to profitability and other facets of the business process can significantly benefit from the use of data and analytics. Enterprises love messaging. There is no evidence in this world that can deny the obviousness of the fact that enterprises just love reaching out to their customers. Be it regarding new deals, a new promotion, or just to remind people about them, enterprises cannot stop themselves from reaching out to who they serve. These messages are expertly crafted for the end audience in mind, and they have a high rate of reaction. Gone are the days when email marketing would get you the laurels. Organizations have recognized enterprise marketing as a good source of reaching out to customers, and they don’t seem to be moving back to the traditional methods. Here, we list some facts related to enterprise messaging, show some of the challenges that telecoms currently face in providing a platform for enterprises to manage, and describe how these roadblocks can be averted. In short, by the end of this article, not only would we know why enterprise messaging is so popular, but also, we’ll know of possible hindrances and how to get over them. Data transformation is currently upon us, and we can’t deny the fact that the future we talked about is now here. The world is finally progressing towards a more mature period of digital competence, and data innovators sit at the center of it all. Data-driven companies have an important role to play in ensuring innovation and making sure that customers get the services they require. It can without a semblance of doubt be said that the digital transformation is currently over us. Gone are the days when companies wanted to prepare for it, and go into the era with sufficient preparation. With the transformation now over us, it is time for action, and the need to be at the top of their game is felt more than it ever was for most companies. The intelligent world is truly upon us, and based on the technological advancements that we are becoming used to, one cannot wait for the future to arrive. In this intelligent world, there is pressure on businesses to deliver an exceptional customer experience, and to use every technology they can to ensure that the customers get what they expect. The age of technology is way past its nascent stage and has grown exponentially during the last decade. In my role, travelling to events and meeting with thought leaders I am aware of the developments made across different technological fronts. During these events I have had the opportunity to meet and greet some of the brightest marketing minds. One such person, who is playing an imperative role in ensuring the smooth run of things in both Ericsson and across the digital sphere, is Eva Hedfors. Eva Hedfors, who is the Head of Marketing and Communications at Ericsson Digital Services, is a leading driver in evolving the perception of Ericsson as a partner to operators transformation from Communication Service Providers to Digital Service providers. I had the opportunity to first meet Eva during Ericsson studio tour in Kista, Sweden. During our first meeting I could tell of her knowledgeable insights and the positive vision she had. Just recently I had the opportunity of interviewing her for a topic she will be presenting in a webinar on the 20th of June. The topic of the webinar – Digital Meets 5G; Shaping the CXO Agenda – is up for interpretation, and she did give me details regarding what she is expecting from the webinar, and how she plans to go about answering some of the questions in this regard. What Steps should be taken by CxO’s for a Smooth Transition to 5G? Eva shared her insights on how CxOs could prepare for a smooth transition to Digital Service Providers powered by 5G.”The initial 5G technology deployment will target the massive growth of video traffic in networks, but a leading and hard-to-crack requirement for all CxO’s is also to realize the industry potential and find new business growth through 5G. This involves to both innovate and participate in eco-systems, as well as to optimize the route for marketing such 5G services. CxO’s can take advantage of 5G to address relatively new segments and industry use cases in mission critical IoT as well as Massive IoT.” Eva explained the business models one creates also needs to be up-to-date and should reflect what’s happening in the market. Since the plan for 5G is rather new, most companies and industries won’t know much about it. Hence, it is necessary that decision makers in Telcos to position their existing capabilities towards different industries and using Network Slicing is one way to do that already on 4G. To capture the potential in 5G, for many CxO’s means focus to create a revamped strategy for billing and charging systems into a Digital Business Support System (BSS). Moreover, a proper infrastructure needs to be provided to ensure that the end consumer gets to experience the technology in a seamless manner. This would help generate positive insights. 5G is here today, and action needs to start from right now! How to Avoid the Challenges Involved in Digitization? The first step to avoiding the challenges involved in digitization is to recognize the efforts most customers have to put in place when engaging with their Telco provider. Once these efforts have been quantified, Telcos can take the necessary action. For the customers, touch points should be made accessible, and there should be no hindrance in communication for B2C, B2B and B2B2C customers. Failure to put the right digital IT infrastructure in place, including analytics and Digital BSS, will limit the business potential of 5G. That is why 5G and Digitalization needs to be planned and executed not as individual technology transformation projects, but as one transformation that aligns towards the same overall business objective in each time frame. Moreover, the technology teams should be motivated to simplify the core network and make it programmable. Eva mentioned that it was imperative for organizations to start already now and simplify the journey from vEPC to 5G Core for proper implementation and monetization of these revamped services. When asked about the research done to analyze the 5G readiness across different industries, Eva mentioned that Ericsson has done several reports on the potential of 5G across industries. The 5G business potential study by Ericsson analyzes the business opportunities that come from proper industrial digitalization. The report focuses on the opportunities for organizations present in 10 of the major industries including, Manufacturing, Energy and Utilities, Automotive, Public Safety, Media and Entertainment, Healthcare, Financial Services, Public Transport, Agriculture and Retail. There are detailed use cases for these industries present in the research, which may help stakeholders in these industries to make a decision regarding 5G usage. Another research based study released by Ericsson in this regard is the guide to capturing 5G-IoT Business Potential. The study answers questions pertaining to the selection of industries and what use cases to address. The insights have been collected from over 200 5G use cases that illustrate how operators can start their IoT business now through the use of 5G. How Can 5G Technology Improve the Customer Experience Offered to existing Customers by Service Providers? Enhanced Mobile Broadband is one of the major benefits of 5G technology, according to Eva, and it will help service providers enhance the experience they offer to their customers, who continue to increase consuming video on mobile devises . Better performance, reliability and ultra-high speed are some of the examples of the broadening consumer experience that can be provided through the 5G experience. According to a recent ConsumerLab report conducted by Ericsson, more than 70 percent of all consumers identify performance as one of the major expectations they are looking forward to from 5G. What are the Preparations and Biggest Challenges for 5G Readiness? Through our industry partnerships we do know, many organizations across many industries have started to analyze how 5G will help drive their digital transformation. 5G business models are being crafted to ensure that the implementation is as smooth as possible. The biggest challenge to capturing the market potential for all actors in the industrial eco-systems, including telecom operators, is the investment in technology and business development. Business development will fall along the lines of organizational adaptation, and Eva believes that a proper infrastructure needs to be provided. It is necessary that 5G be provided the right infrastructure for industry wide implementation. Only organizations that have created the right structure and the model required for 5G implementation are ready for the technology. Without organization-wide infrastructure, 5G would be just like a car running without roads and filling stations. Like we have talked about above, decision makers need to realize the importance of a proper automated structure that spans across all touch points to ensure that there is no hindrance to 5G services adoption. To that end, organizations also need to realize the importance of an architecture evolution strategy. The evolution strategy should seamlessly integrate 5G across the infrastructure and ensure the full flexibility in the handling of billing, charging and customer interaction. Both IoT and 5G technologies are shaping the digital transformation and transforming all digital architecture by helping organizations evolve their services and infrastructure. 5G particularly brings a new level of characteristics and performance to the mix, which will play an important role in the digitalization of numerous industries. Telecom operators leveraging the power of 5G technologies can gain from financial benefits as well, as a USD 619 billion revenue opportunity has been predicted for these operators in the future. This revenue opportunity is real and up for grabs by operators, but it does require business model development that elevates telecom operators beyond the connectivity play. For further insights in this regard, and what CxOs need to do for proper facilitation of Digitalization and 5G technology, you can head over to the webinar being hosted by Eva Hedfors and Irwin van Rijssen, Head of 5G Core Program Ericsson the 20th of June. The age of digital business requires every company to re-think how they rapidly adapt or risk extinction. The presence of unlimited data and the growing needs of customers demand that the customer experience substantially increases. From smart phones to smart refrigerators, technology now plays a really important part in our life. This rapid rise of technology has not just added feasibility to our lives, but has also transformed the world of manufacturing. In this age of data and convenience, customers across the globe are getting used to great customer experience from numerous companies. Big names such as Google, Apple, Amazon, and many others lead the way when it comes to ensuring a seamless customer experience. While these names lead the front, Telcos lag behind when it comes to their perception of great customer experience. In consideration of the fact that Telcos lag behind when it comes to their perception of great customer experience, I recently talked to Thomas Kinnman from Ericsson. Both of us discussed important factors related to customer experience in the eyes of Telcos, and what should be done in this regard. Deep learning is a sub-category within machine learning and artificial intelligence. It is inspired by and based on the model of the human brain to create artificial neural networks for machines. Deep learning will allow machines and devices to function in some ways as humans do. What Does GDPR Mean For Your Business? The research on improving Artificial Intelligence (A.I.) has been ongoing for decades. However, it wasn’t until recently that developers were finally able to create smart systems that closely resemble the A.I. capabilities of humans. Developments in Artificial Intelligence (A.I.) are happening faster today than ever before. However, the nature of progress in A.I. is such that massive technological breakthroughs might go unnoticed while smaller improvements get a lot of media attention. Creating a seamless, personalized, and frictionless customer experience is one of the top-most priorities for businesses operating in today’s extremely competitive B2B environment. With customer expectations rising, and organizations looking to implement technological advancements, Artificial Intelligence (AI) has come across as one viable option for them. Be it through chatbots or through robots, many organizations are leveraging AI today to not only enhance the customer engagement, but to also ensure that the customer experience is as per the expectations of the consumer and lacks any flaws whatsoever. New reforms under the General Data Protection Regulation (GDPR) started as an attempt to standardize data protection regulations in 2012. The European Union intends to make Europe “fit for the digital age.” It took four years to finalize the agreements and reach a roadmap on how the laws will be enforced. With consumer data privacy becoming a top priority in the current age, regulating authorities have jumped into the conundrum to ensure that users get the privacy they need for their personal data. One such regulatory authority that has come into the mix to ensure rights for all users online is the European Union. The EU announced the General Data Protection Regulation or GDPR, that will be in full effect by May of this year. Although GDPR may be considered a regional regulation, its impact is far=flung and may be seen across the globe in the coming days. Internet of Things (IoT) is ranked high on the list of revenue generating opportunities for most Telecom Companies. It is expected to become an enormous market with devices from all over the world connected to the IoT network. The rise of the Internet of Things (IoT) is now increasingly visible and ubiquitous thanks to the constant presence of interactive fitness trackers, intelligent thermostats, and autonomous vehicles among many other sensors. Such technologies are considered to be the future because they do a good job at making the things we have around us smarter and interactive. In fact, with the rise of the IoT expected to gain pace during the coming decade, we are no longer required to settle for dumb tools and can now look forward to the era of enchanted objects. The technological advances in machine learning and development of Artificial Intelligence (AI) open many possibilities for the future. AI is nothing more than a continuation of machine learning which has been around for a long time. Although cognitive computing, which is many a times referred to as AI or Artificial Intelligence, is not a new concept, the hype surrounding it and the level of interest pertaining to it is definitely new. The combination of hype surrounding robot overlords, vendor marketing and concerns regarding job losses has fueled the hype into where we stand now. The role of data in organizations is no longer a myth or a mystery that is difficult to comprehend. The transformation to the workplace of tomorrow is underway, and it is time that all organizations catch up and implement the necessary changes. Artificial Intelligence or AI is expected to be in major demand by retail consumers due to its ability to make interactions in retail as flawless and seamless as possible. As the world is progressing towards an age of development in the Internet of Things (IoT) and other aspects related to it, the concept of the digital consumer is on the rise. Consumers of today want to experience the feasibility that is promised through this method. Once we start delving into the concepts behind Artificial Intelligence (AI) and Machine Learning (ML), we come across copious amounts of jargon related to this field of study. The progress of the Internet of Things (IoT) and its industrial usage has been nothing short of amazing. The IoT as we know it has been aided through the help of organizations owning up the process and implementing the results to garner a more efficient system. The value of data-driven Customer Value Management or CVM cannot be underrated. Data and other algorithms/analytics that shape data are an imperative part of customer value management in a telecom company. The role of Artificial Intelligence (AI) devices in augmenting humans and in achieving tasks that were previously considered unachievable is just amazing. With the world progressing towards an age of unlimited innovations and unhindered progress, we can expect that AI will have a greater role in actually serving us for the better. Finding out the difference between data scientists, data engineers, software engineers, and statisticians can be confusing and complicated. While all of them are linked to data in a way, there is an underlying difference between the work they do and manage. For years the retail sector has been making use of customer data to propel their own marketing campaigns forward. What remains to be seen in this regard is, how the future of better data collection and technology, coupled with an enhanced need for customer personalization shakes up this procedure in the future. These days, it seems like every city is trying to implement “smart” initiatives. Take Singapore for example, now known for the most extensive effort to collect data on citizens’ daily living habits/routines ever attempted by a municipality. Even Bill Gates has pumped millions of dollars into helping Phoenix in their smart city efforts. The technology revolution of the 21st Century has opened the avenues towards many possibilities. We now have a mobile data traffic explosion on our hands, which can end up expanding growth while we move into the next decade. While covering the rapid rise in the use of Artificial Intelligence (AI) and Machine Learning (ML) during the past few years, I have had the privilege of monitoring its implementation in numerous sectors. As part of my experience, I have had the luxury of observing the way possibilities regarding AI have drastically arisen during the last decade. The move towards an intelligent world is faster and more rapid than it ever was before. The increase in this transition has been propagated through the role of several high key stakeholders that have redefined the way we look at technology. Nowadays, companies are besieged by information and the possibilities of new IT solutions. With the rapid advancements in information technology and high speed Internet, companies now have access to huge amounts of information, processing and sharing systems regarding customers, their demographics, and their online behavior across all touchpoints on the buyer’s journey. With the world changing so rapidly, every company or organization that adapts to the changes becomes an example for all others. One very recent example for all companies to learn from and implement in their own decision making is the transformation of RELX Group to a leading global information and analytics company. The technology revolution promises to deliver a lot of rewards for organizations that take it by the horns and implement it. When we talk about taking the changes in technology and implementing them within an organisation, one name jumps to mind - RELX Group. The transformation of the FTSE 100 (and FTSE 15) RELX Group from a media company to leading global information and analytics company, with a market capitalization of about $44bn, is indeed inspirational and somewhat surprising. From being the plots of sci-fi thrillers to being seen as threats by the working populace, Artificial Intelligence (AI) has during the last few years jumped into the headlines as it has become a part of reality. 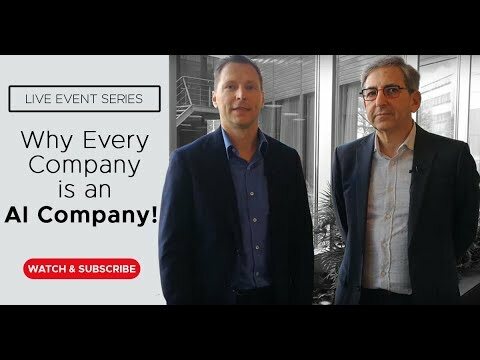 Live Event Series: Why Every Company is an AI Company! 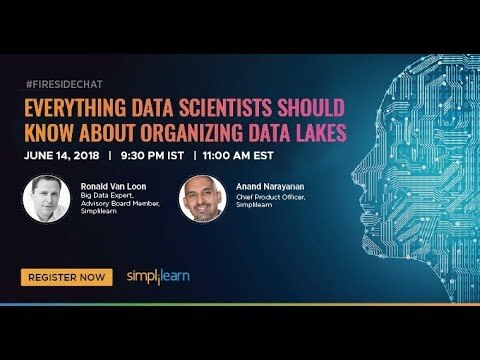 Learn how to turn data lakes into organized & manageable data because businesses need the means to obtain real value from their data lakes. And discover how data lakes fit into the ecosystem of your organization as well as establish end to end data management practices supporting data & analytics innovation. Join Ronald van Loon and Anand Narayanan with SimpliLearn for a Fireside Chat on June 14th, 8:00 AM PDT or 17.00 CET. © 2017-19 Thinkers360. All Rights Reserved.